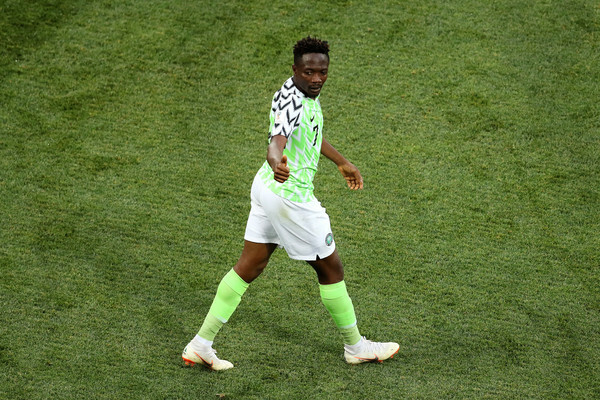 Super Eagles World Cup star Ahmed Musa spoke to FIFA TV ahead of Nigeria's decisive clash against Argentina on Tuesday at Krestovsky Stadium. The two goals hero against Iceland says Nigeria are motivated to win against Argentina even though they had never won against the South Americans. "I feel very excited and thank my teammates because they encourage me that I can do it. The next game is a very big one, If we win, we qualify for the next stage so I think that will be another history for all the team not only me. "I think it is a very good opportunity for us to win and we have never won against Argentina in a competitive tournament like this, so for me winning against them is a very good motivation for the team," he said. Argentina after their poor start to the tournament need to win against a team that has never beaten them at any competitive game at this level. Hopefully, the Super Eagles will get it right and Ahmed Musa will be motivated enough to cause the Argentine defence problems with his pace and finishing. Nigeria against Argentina will kick off by 7:00pm on Tuesday, June 26th.